First Light Festival is a brand new, free, non-stop 24 hour long, multi-arts festival that celebrates the first light of midsummer’s weekend at Britain’s most easterly point – Lowestoft in Suffolk. Events will begin on Lowestoft’s sandy South Beach at noon on Saturday 22nd June and will run continuously through changing tides, light and darkness, sun and stars until noon on Sunday 23rd June. The festival team is working closely with East Suffolk Council, Suffolk County Council, Lowestoft Town Council, Arts Council England and other stakeholders, to create and deliver an event that will contribute significantly to the regeneration of Lowestoft and its seafront. The aim of the festival is that it will be a place making event both regionally and nationally – developing joy, pride and a sense of place through culture and the arts. The festival grew out of the wider seafront strategy that Waveney District Council commissioned HemingwayDesign to carry out. HemingwayDesign held a series of “design charettes“ with local creatives, entrepreneurs and community representatives . 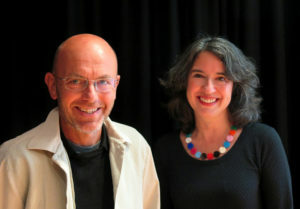 Wayne Hemingway presented examples of some of HemingwayDesign’s other regeneration projects and highlighted the positive impact that meaningful and individual free festivals ( ie The National Festival of Making in Blackburn , Vintage by the Sea in Morecambe and the Festival of Thrift in Redcar ) were having . As a result of this it was identified that Lowestoft’s location as the most easterly point of Britain, could be a key part of the narrative of the town. Already locally known as the Sunrise Coast, group discussions led to the genesis of First Light Festival, to literally shine a light on this unique location, with local stakeholders co-curating content in a programme that has sunrise as its central focus and which celebrates a sense of place – including Lowestoft’s maritime heritage, community of artists and musicians and science connections, notably to large scale renewable energy production and scientific research by resident government agency CEFAS, the UK’s foremost marine research organisation.